Rutie Adar has been heading Samsung’s Strategy and Innovation Center, Israel since 2013. She has been the main focal point for startups, mature companies and academia to explore potential collaborations with Samsung’s innovation platforms. Some of these collaborations included investments and incubation. The Israeli center operates a local incubator which hosts very early stage startups engaging in close collaboration and mentoring. 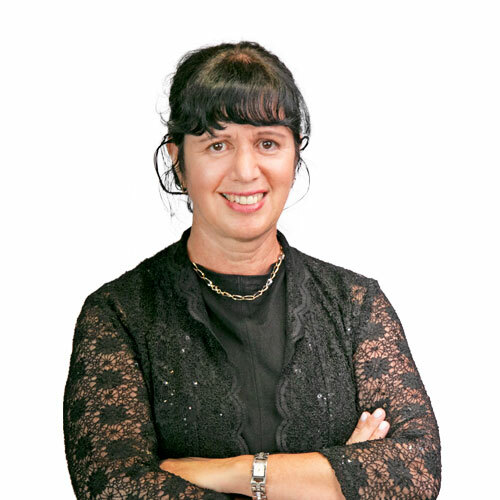 Rutie has been working in the consumer semiconductors industry during the past 27 years. She started her career developing image processing and parallel processing algorithms. In the past 20 years Rutie held various managerial positions in marketing, strategy, planning and business development. She joined Samsung in 2010 for technology sourcing for Samsung’s component business. She has B.S. and M.S. in mathematics and computer science from the Hebrew University Jerusalem and MBA from Tel Aviv University. Rutie has passion for studying and recently she finished her B.A. in political science and international affairs and she studies now for her M.A. in political communications at Tel Aviv University which will be her fifth degree. What makes Samsung Catalyst a great partner? If you want to make an impact with your technology and products, providing a better life for the masses and solving a major need, partnering with Samsung is your ultimate platform. No other company has the breadth of products and width of worldwide reach. Samsung Catalyst fund is our vehicle for achieving this goal together. Academic studies. I earned five academic degrees in broad range of domains that address both science and humanities, where I have true passion. What do you like most about working at Samsung? Every day I learn something new. Every week I meet a startup that excites me with its amazing idea. Every year I feel empowerment and personal growth. What key phrase, motto or quotation motivates you? Carpe Diem (seize the day).